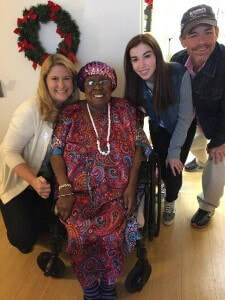 Adopt an Elder this Holiday Season! Imagine being alone during the holidays. Many nursing home elders live this reality every year. 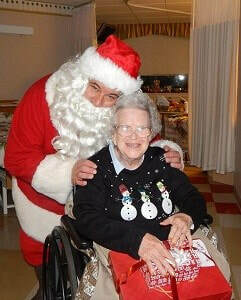 Second Wind Dreams provides Holiday gifts and visits to nursing home residents who receive little or no family support. ​Please consider volunteering for one or more of the opportunities below. Individual and Corporate Volunteers are Needed! We will send you elders’ wish lists. They ask for simple, affordable items because they have so little. 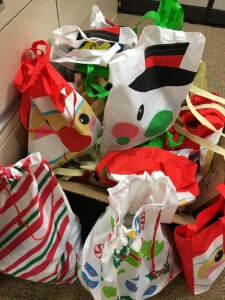 Deliver gifts to nursing home elders—share your time and company and make a lasting impression. National Volunteers, please contact Brenda Reeves at brenda@secondwind.org. Caesars HERO Volunteers, please contact Amy Safran at amy@secondwind.org.